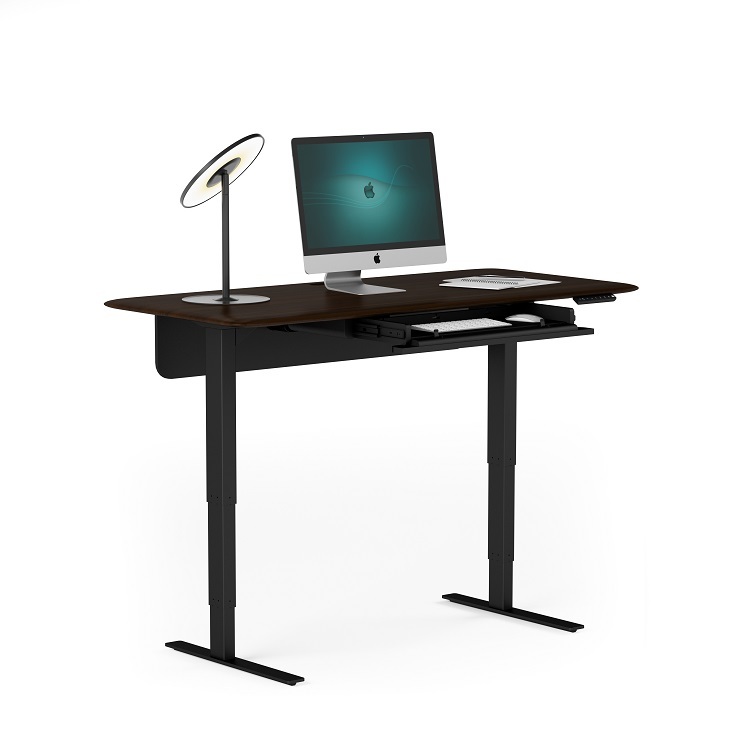 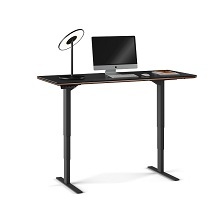 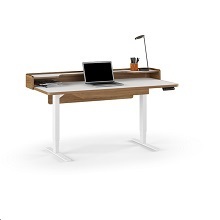 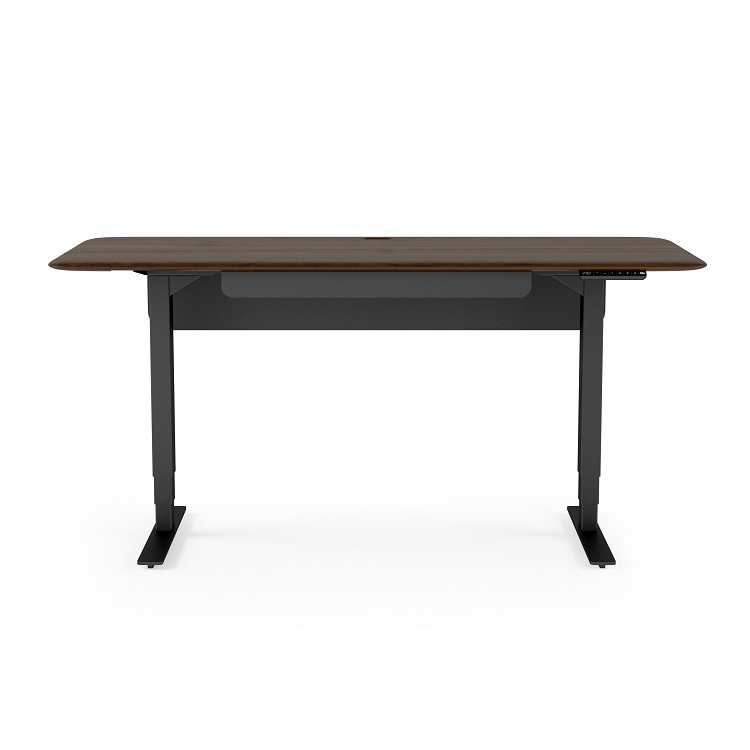 The Sola Lift desk represents the best in quality and design. 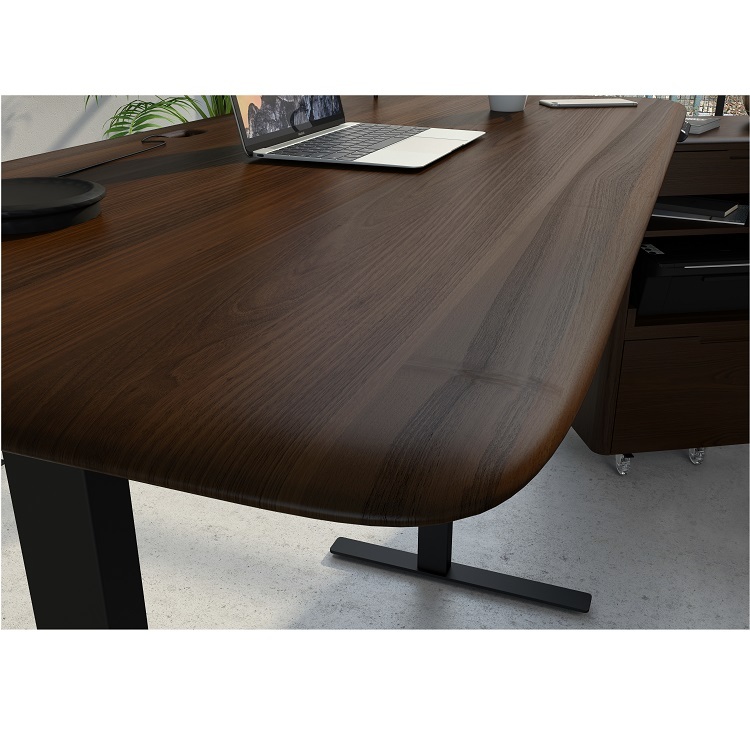 Sola has a solid hardwood walnut desktop with smooth, rounded edges and rich chocolate tones. 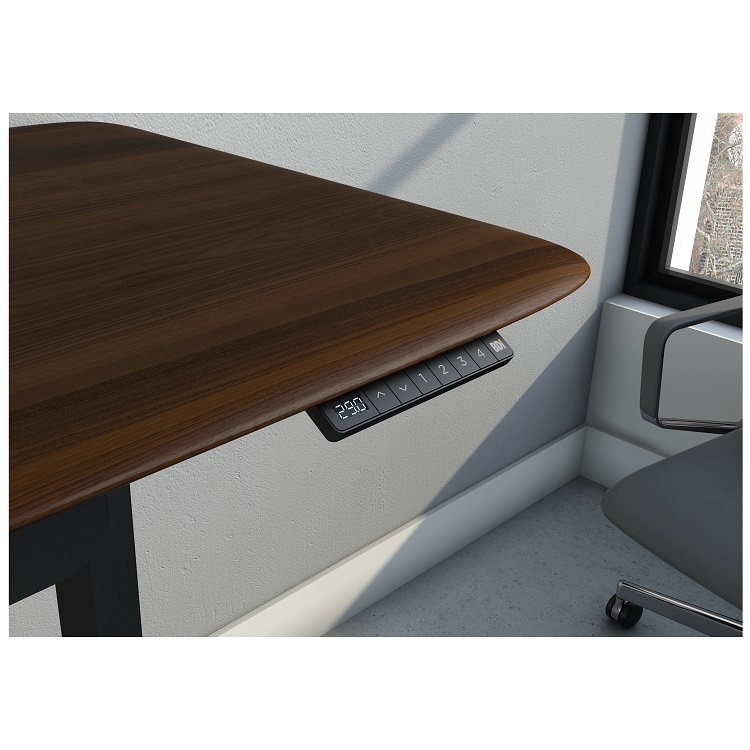 Sola features an electric height-adjustment system that, at the touch of a button, lifts or lowers the desktop to your ideal height and encourages you to work more actively and dynamically throughout the day. 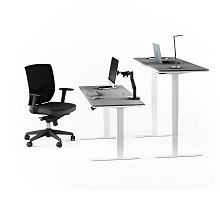 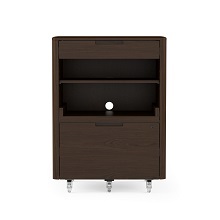 The desktop memorizes four heights for effortless transition between sitting and standing. 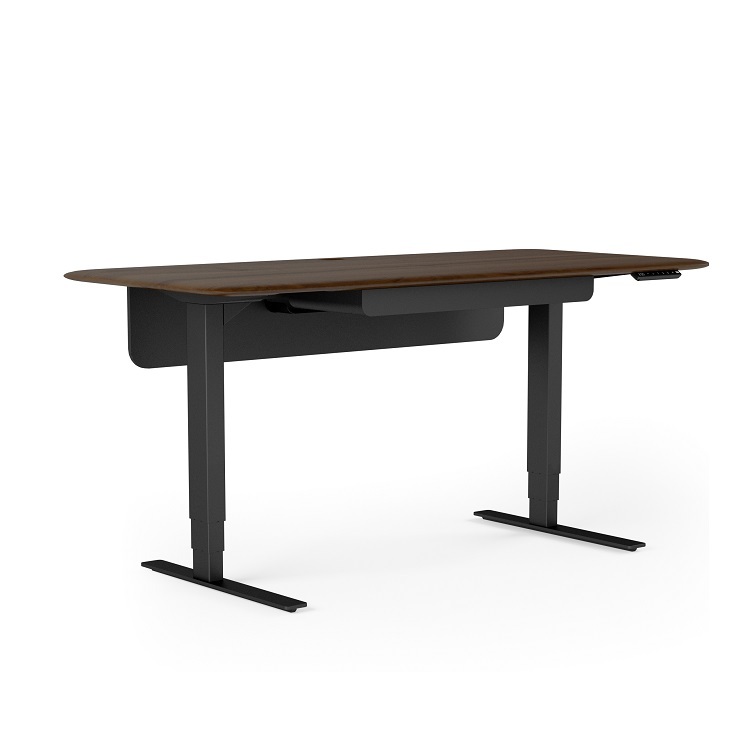 In addition, the desk has a flip-down keyboard drawer, built-in cable management, and a modesty panel to conceal wires.